LEED Certified Data Center – Comfort International, Inc.
Data Centers typically use huge amounts of electricity to cool their servers with power utilization efficiency PUE levels often around 2.0. 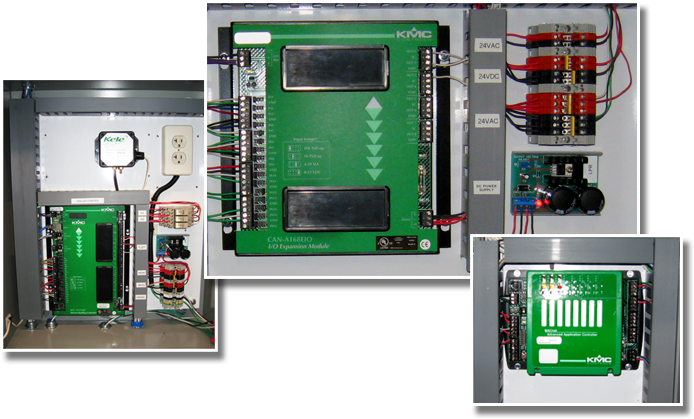 Comfort International designed and built the custom nonproprietary BACnet building automation system as well as enhancing the overall HVAC design which resulted in a one of the most efficient mid-size data centers in the nation with an incredibly low annual PUE of 1.15. This unique system uses waterside economizer open loop cooling towers with custom air handler and chiller systems with variable speed drives, an economizer system for the UPS area, and contained cooling aisles with VAV control. The key to the performance is the unique unified control strategy that enables the system to maintain a cool 72 degrees yet only using an average of 7 hours of mechanical cooling annually! This world class data center has enabled Fenwick & West to be the first law firm to achieve a LEED Platinum certified server room. Fenwick & West LLP is the first law firm in the United States to be awarded LEED-CI Platinum Designation by the U.S. Green Building Council (USGBC). LEED is the USGBC's leading rating system for designing and constructing the world's greenest, most energy efficient, and high performing buildings. LEED Platinum is the highest possible certification. Certainly not to be understated, Fenwick and West also achieved LEED Gold for its Silicon Valley Office making it not just the first law firm to attain a Platinum rating but also making it one of the first law firms in the nation to have 2 LEED certified offices. Fenwick & West was the first law firm certified by Santa Clara County as an environmentally sustainable 'Green Business' for the steps they have taken to employ sustainable practices to conserve natural resources.